While new apartment buildings and condos are being constructed across Boston, one developer has its sights set on revamping four waterfront buildings in Dorchester’s Port Norfolk. Development firm City Point Capital wants to convert the buildings into a hotel and new condominiums. This prized section of waterfront land holds promise. However, concerns have surfaced about how this development project will impact the traffic in the surrounding area’s narrow streets. In addition to hotel lodging and condos, there are also plans to build a restaurant along with marina slips and a location to operate the boating side of the business. The actual size of the buildings is still under discussion. Ryan Sillery, principal of City Point Capital, wants to hear input about the project from members of the surrounding community before submitting official plans to Boston Planning & Development Agency later this year. Sillery first toyed with the idea of developing the area when he purchased a Boston Whaler from Russo Marine several years ago. In January, he acquired 7.8 acres of waterfront property for $10 million. His vision is to tear down the four existing marina buildings that are currently used to store and sell boats. In their place would be a 50-60 room hotel with a restaurant and a 100-unit condo building with views of the water and city’s skyline. Additionally, the tentative plan calls for a new building to store and sell boats and possibly a small store for recreational fisherman. Sillery purchased the land from members of the Bruno family. He also secured purchasing rights to acquire the Brunos’ other properties in the area at a later date as a means of expanding the current project. Once plans are submitted to the planning and development agency, it will take one year to complete the permitting process. From there, construction is expected to last about 18 months. 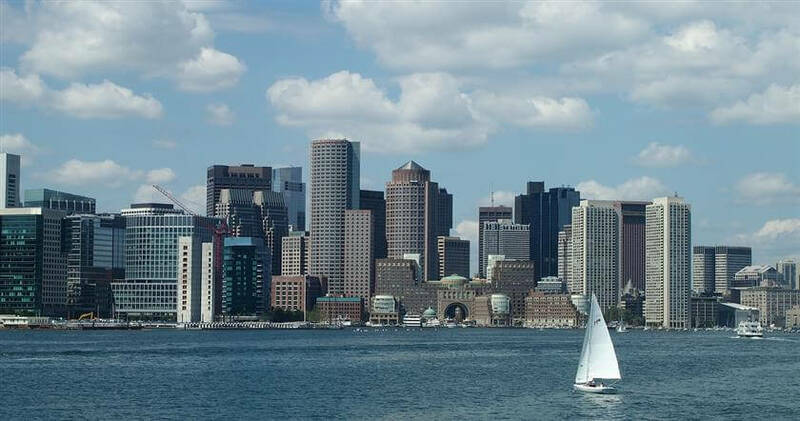 There are also plans to strengthen the existing seawalls to accommodate for rises in sea level and offer water taxi services that will transport passengers to and from downtown Boston. The new buildings will also be built further back from the water, allowing visitors to walk along the shoreline. Past development plans in the area have failed to launch due to their size and concerns over how residents and patrons will deal with the potential spike in traffic.